Analysts are scratching their heads over the benefits to be gained from Walgreens Boots Alliance buying a major drug distributor. One thing the unconfirmed deal wouldn't do: lower drug prices. The Deerfield, Ill.-based pharmacy giant is reportedly in talks to buy wholesale drug distributor AmerisourceBergen Corp. The pharmacy chain already owns a roughly 26% stake in AmerisourceBergen, and the two companies purchase drugs together through a joint venture. Valley Forge, Pa.-based AmerisourceBergen supplies drugs to thousands of health systems, physician offices, oncology groups and other healthcare providers, none of whom should expect the deal—if it comes to fruition—to lower their already sky-high drug spending. "I don't think it really does anything for the providers," said Jefferies & Co. healthcare analyst Brian Tanquilut. Representatives with Walgreens and AmerisourceBergen declined to comment for this story. On Tuesday, industry experts said they struggle to see much of an upside in the rumored move by Walgreens. RBC Capital Markets' analysts wrote that it's difficult to see merit in Walgreens getting involved in the tricky world of pharmaceutical wholesaling, an industry fraught with structural challenges. 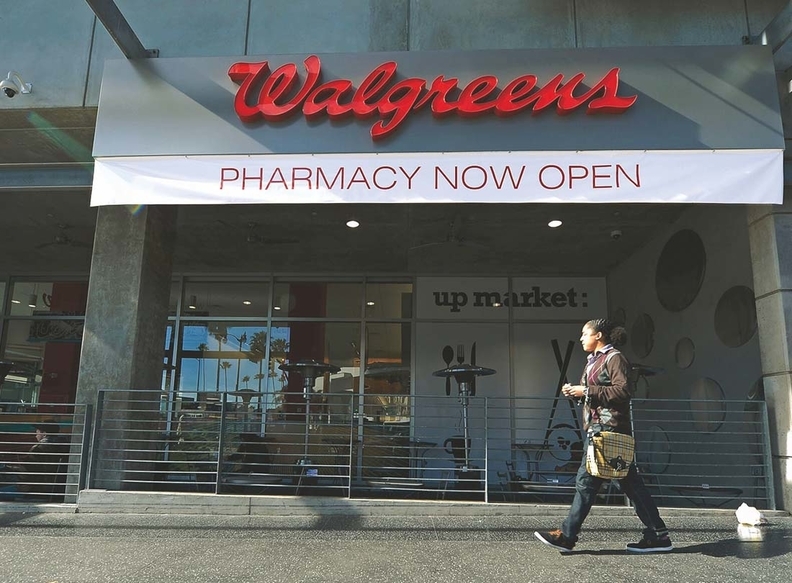 Walgreens would be better off consolidating market share in its core pharmacy business, thereby securing a competitive edge over CVS, RBC Capital wrote. To that end, Tanquilut said it's possible Walgreens could merge with AmerisourceBergen and then try to buy a pharmacy benefit manager to leverage its scale. The most strategic deal for Walgreens in the current payer-centric environment, though, would be buying an insurer, he said. Buying AmerisourceBergen doesn't bring it any closer to doing that, Tanquilut said. Walgreens and AmerisourceBergen already enjoy considerable benefit from their existing partnership, and it's unclear what an acquisition would accomplish, said Vishnu Lekraj, a senior equity analyst with Morningstar. "I suspect there is going to be something else on the horizon for them that they're looking at doing," he said. "So, I'm not sure exactly if this is the best move given what's already established between the two companies." There is one, slightly ho-hum perk that Walgreens could achieve through the deal: a boost to the company's balance sheet. RBC Capital Markets wrote that the deal, although it would have no meaningful business attrition, would result in earnings per share growth of up to 10% in its first three years. Lekraj, however, doesn't see much profitability benefit. In fact, he said AmerisourceBergen stands to lose many of its small- and mid-tier retail pharmacy clients, which are currently Walgreens competitors. Rather than buying from their "arch enemy," many independent pharmacies could switch to a competitor like McKesson, RBC Capital wrote. AmerisourceBergen "will almost certainly be worth less when owned by Walgreens than it is as a stand-alone company," according to RBC Capital. AmerisourceBergen's stock was up 9.4% Tuesday afternoon, while Walgreens Boots Alliance was down slightly.